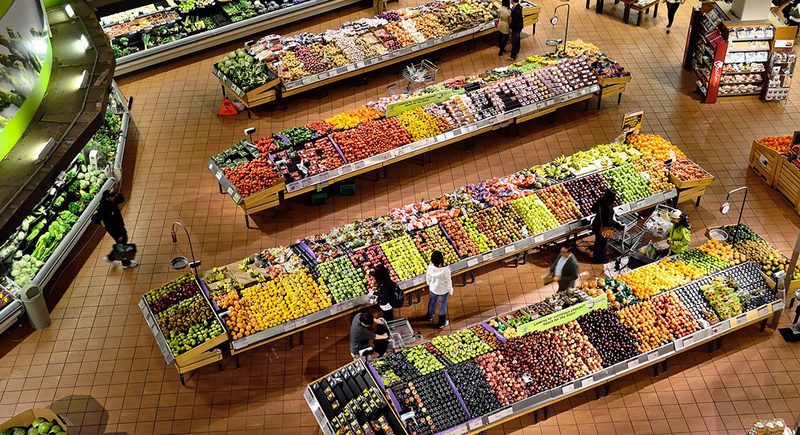 Supermarkets and retailers are becoming more environmentally-aware. They compete with one another, not just in terms of products and prices, but in terms of their policies to reduce their impact on the environment. Supermarkets are eager to flaunt their green credentials as it makes customers feel good. Phasing out plastic grocery bags, using recycled materials for packaging, halting the sale of straws and implementing recycling vending machines are just a few of the steps taken by local supermarkets to become more environmentally-friendly. These policies have become a new way to differentiate themselves from their competitors. By encouraging customers to make green choices, supermarkets are subconsciously making them feel good about themselves. Customers feel like they are doing their part in the fight for a greener way of living. This psychological effect can encourage customers to return to the supermarket, which is good for business. Consumers are starting to actively support supermarkets that care about the environment. They choose to shop at certain retail stores that align with their environmental views and are proactive in reducing plastic waste. These decisions can be used to offset other choices. People using recycled shopping bags will feel good, even though they drive a gas-guzzling SUV to the shops. Drinking through a bamboo straw will still make someone feel better about their decision to indulge in a sugar-filled fizzy drink. Many supermarkets are indeed making positive steps towards a greener environment. However, there are one or two that may oversimplify and exaggerate their policies regarding the environment. Customers need to be aware of these claims and question the marketing. Consumer awareness and critical thinking are important when it comes to green policies and marketing claims. This is necessary because the number of retailers making green claims has risen sharply in recent years. Having a bit of scepticism is good for consumers and for the accountability of supermarkets. Supermarkets are less likely to exaggerate their statistics and marketing claims if they know that customers will question everything. This shouldn’t stop consumers from believing in their favourite supermarket chain and supporting their efforts, but it does mean that customers need to be more aware of green marketing tactics.